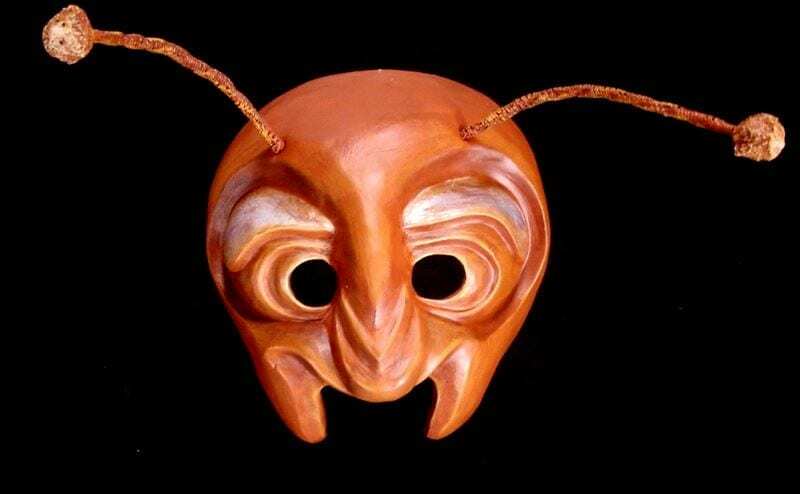 Another Ant is also a half mask. The secret is that its is a copy of the Ant mask with a different paint treatment so the mask doesn’t feel as if it is exactly the same as the Ant. Order both Ants and start a colony. These masks are perfect for any picnic. Another Ant isn’t like the other ants. And that is because Another Ant is a skilled martial artist, focused solely on attaining a black belt. While other ants slave through the summer to store food, Another Ant teaches karate classes down at the YWCA. Another Ant may be small, but don’t cross her! She’s not to be trifled with!